With the light coming in from behind the caps edge are a bit burnt out. 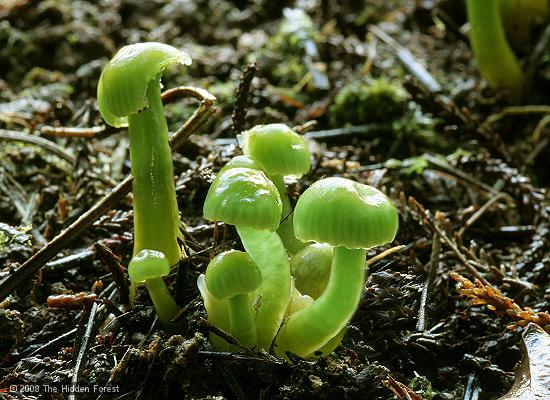 On the other hand there translucent nature is shown with the light penetrating caps and stalk. Scale = 8 mm.